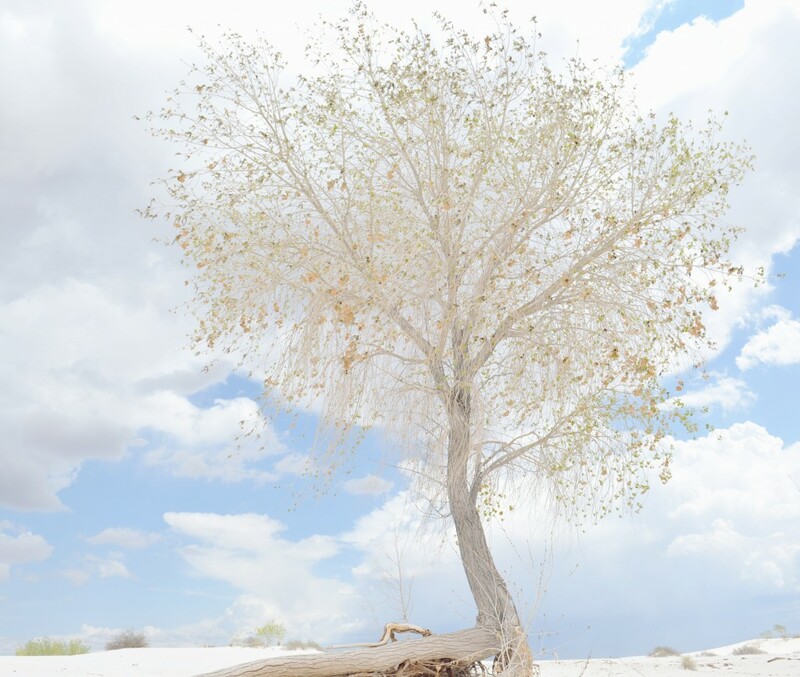 I was in White Sands New Mexico walking through the middle of the desert and I came upon a nice looking tree. Now it obviously doesn’t rain here much, and the ground is just sand; dry sand, dryer than any desert in the world. So how does it survive. It turns out that there are several tricks plants use to survive in arid landscapes. They have small leave. Small leaves require less moisture to grow. Since there is so much sun the plant does not need too much leave space to pull in the suns rays anyways. They have deep roots. The trees in the desert, like this one have roots 80 feet deep. Think about that. That is about 10 times the length of roots in your backyard. That allows them to soak up so much more water during the dry months. The last thing is that these plants grow very slowly. They preserve their energy by growing much slower than trees in your backyard. 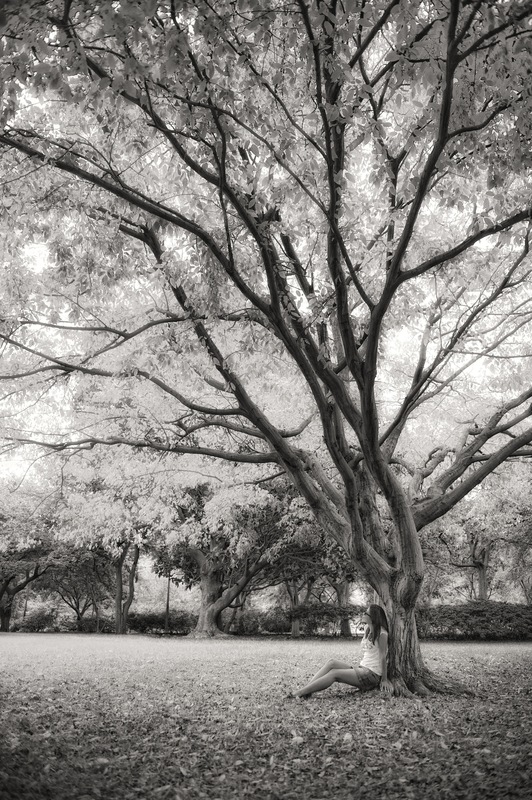 This tree for example has never had a gardner come in and trip its branches. Desert nature is certainly beautiful, and no place is more picturesque or nice to photograph than White Sands. I posted my pictures at this location if you want to see some beautiful pictures of a beautiful place. 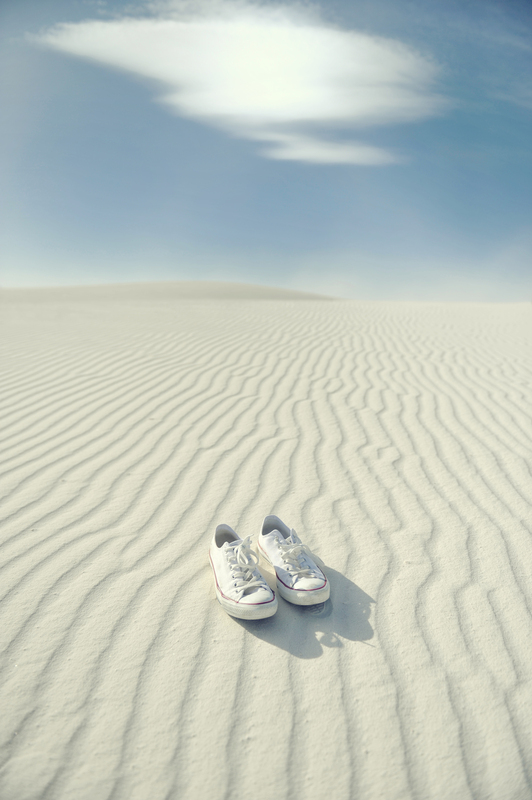 I believe White Sands New Mexico is one of the most beautiful places in the world and that is why I recommend it as the best place to take photos in New Mexico. I have been the wearing the same type of All Star since I was 16. I wore white, black, red, gray and even plaid chucks through the years but I always come back to white. I have worn high-tops, low tops, with and without shoe strings but one pair always comes through tried and true – the low top white chucks. I have worn them with socks and without socks. Remember when people used to wear shoes without socks? Don Johnson? Well, that was me with Chucks but I soon learned that sweating feet was pretty uncomfortable not to mention the blisters. I first started wearing them when I was 16 after I saw some punkers wearing them around Santa Barbara. I thought they were so cool with their spiked up hair, ripped jeans, 1950 sweaters and chucks that I went out and bought myself a pair. They were my first pair and I loved them. I tried moving to many different types of sneakers through the years but the white chucks just have a hold on me. I still love them 30 years later. I like the white converse because they look good with just about everything – suits included if you can pull it off. Plus I love them because I love white shoes. The key with Converse is to wash them every few weeks but you have to be careful not to do two things – no bleach and no dryers. You have to let them dry on their own otherwise they crinkle up, and if you use bleach the soles start to turn yellow and that is not a look that you want when you are wearing your beautiful white chucks. God Bless my white chucks they have taken me to so many parts of the world. They are not always ideal mind you. When I used to wear them in London for example they made my feet freeze because there is virtually no cushion on these things and it is like walking on the frozen tundra when it gets below 50 degrees outside. Nevertheless I wore them every chance I got. If you have a pair, then congratulations; if you don’t, then what are you waiting for? Get your chucks and remember, keep them clean. I keep going back to my pictures from Vietnam because I often find them to be the most interesting pictures that I took in the last year. I have learned that to take good pictures you need to put yourself in the right setting where you are sometimes a stranger. I like my pictures from Vietnam not only because they bring back good memories of visiting this country but also because the pictures were very different than the life that I live here. 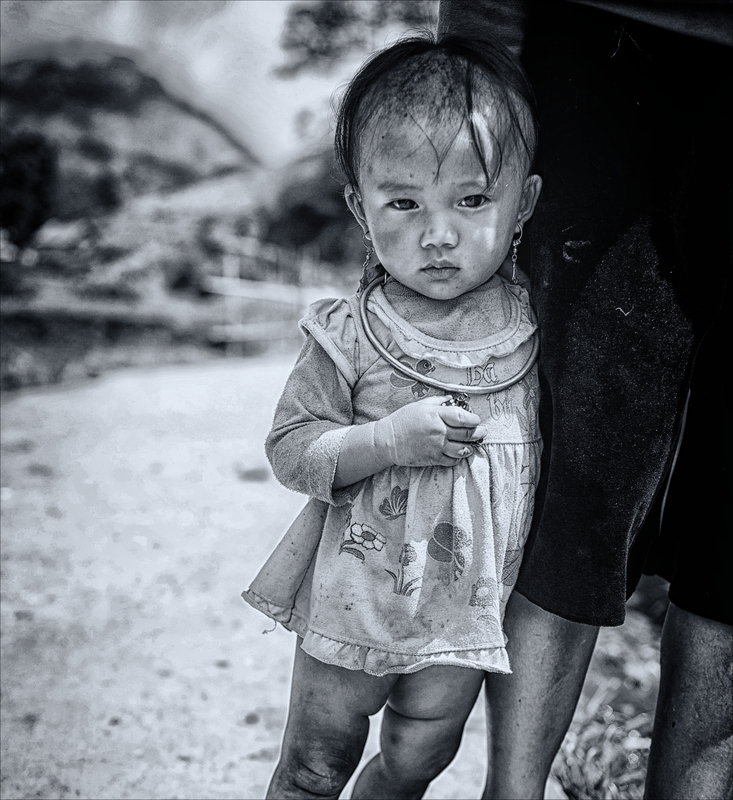 In this picture, I was walking in a small village in the hills and this girl and her mother came down from their hillside home to get some candy that we were passing out. What was sad is that she didn’t have much but just wanted a small piece of candy. It makes you wish you could do more for them when you see somebody so innocent that can be helped with so little. I found it buried under a bunch of other books on the shelf next to my bed. 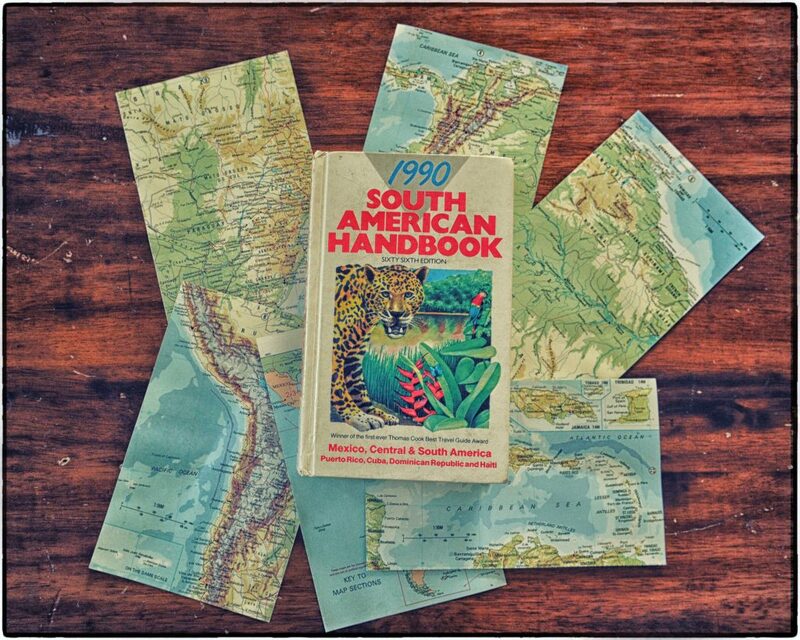 The tattered copy of the 1990 South American Handbook was in my hands and it was bringing back memories of good times right after college when I just wanted to travel and explore the world. As I opened the book, I noticed the sticky notes that were pinned on the pages of interesting cities, sites and countries. The notes were placed there by Bill my brother and myself. 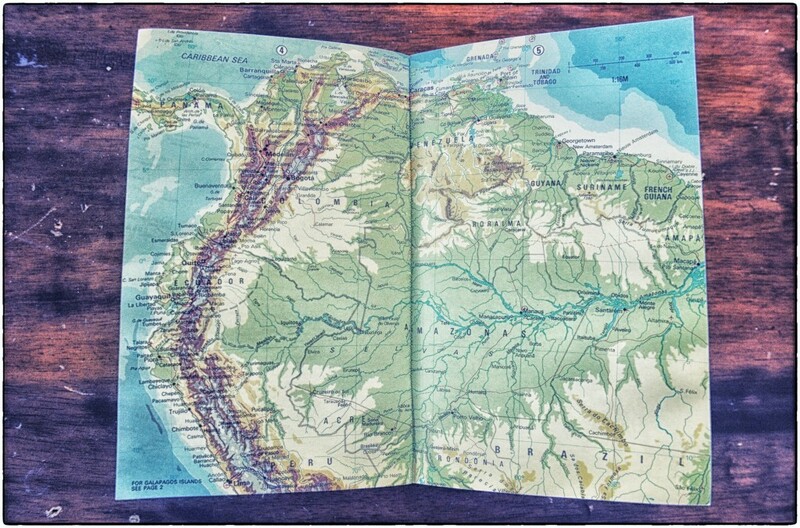 I had just returned from a long trip to Central America and he brought up the idea of the two of us taking a car trip from the top to the bottom of South America. He was ready for something different and new and I was itching to continue my travels. The book was our planing guide for the great adventure. The marked pages were places and things that we could drive to and see while we spent time touring through each country. As I turned the pages and saw the scribbled notes it brought back all the great memories I have of the time – the anticipation and the wonders of what such a trip would hold in store for us. The trip never happened. For probably a dozen reasons all of them good ones – we just never made it happen. And as I turned the pages of the book it now it made me a little sad. What memories had I missed with my brother? What adventures should we have had together that we did not? 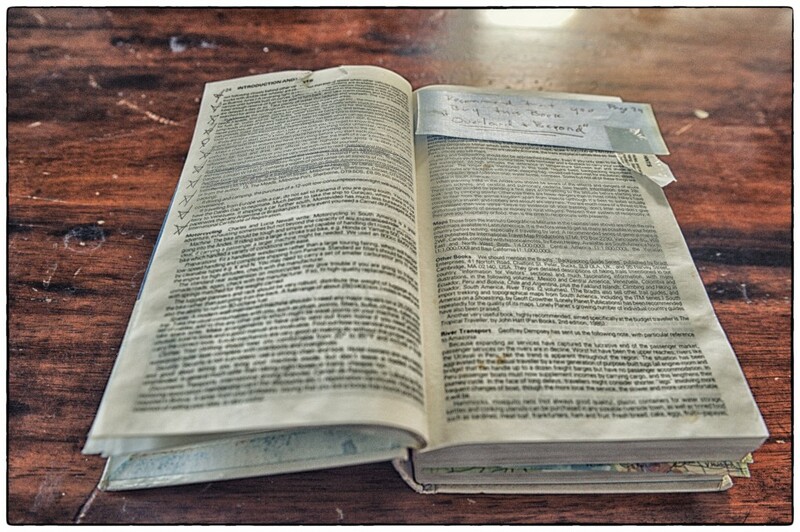 Each crinkled note and page of that book now represented regrets of a trip not taken. While we talked about the trip together, we created dramatic visions in our own heads of taking a rugged jeep through desolate mountain ranges and coming upon small villages of locals. We might spend the night with them and eat the local food. We might end up in interesting situations every day. When we finished the trip we would have endless stories of our adventures. We would have memories. As I looked at the maps (now falling out of the book), I realized an important lesson. We never regret the trips we take- just the one’s we don’t. I am sure everyone has experienced this regret at some point because I always hear people say that they wish they had traveled more while they still had the chance. Bill and I didn’t go on that trip, and we probably won’t ever have the chance now. I’ll keep the memories of planning the trip in my head because in my mind, I felt like we did make that trip in someway if only in our imaginations. I’ll keep the book too. I am sure I will open it up again someday and wonder about what it would be like – the trip we never took. 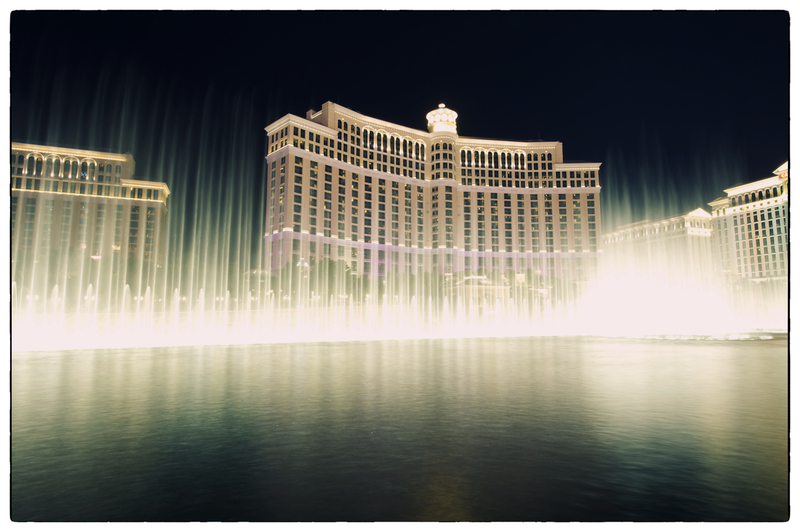 I went to take nighttime photos with my friend Armand tonight. 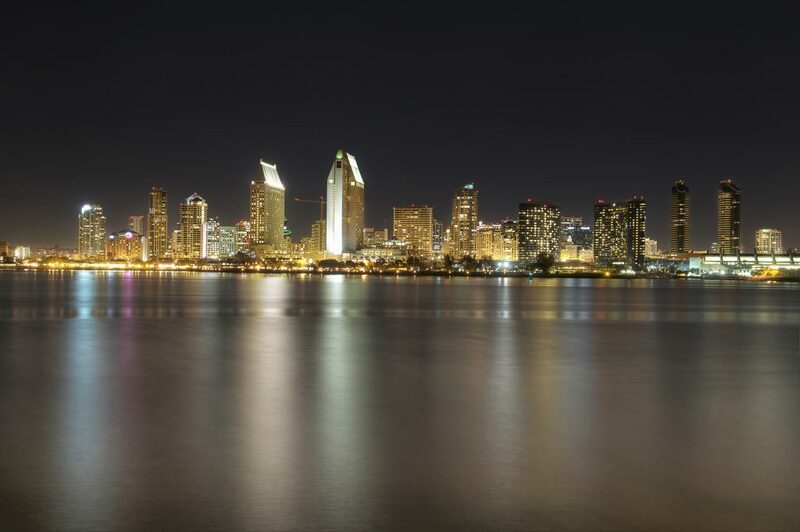 It’s no secret that the San Diego skyline is among the most beautiful in the world so it was great to find a spot in Coronado where we could capture it in all its beauty. 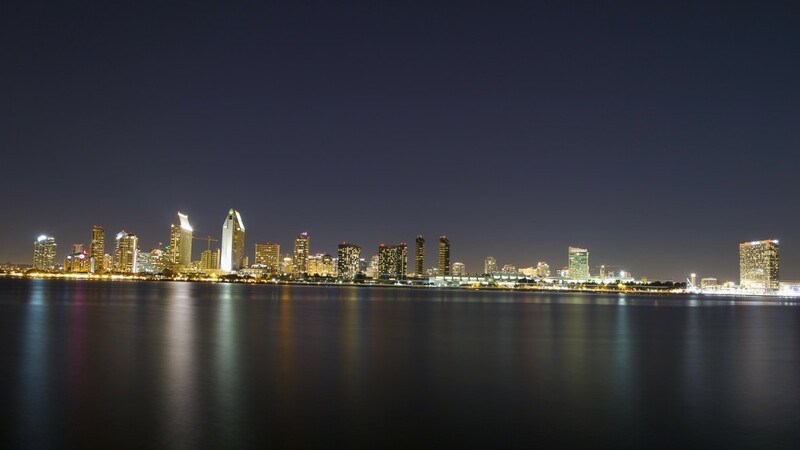 It was a cloudless night which I think makes for the best atmosphere to take skyline photos. 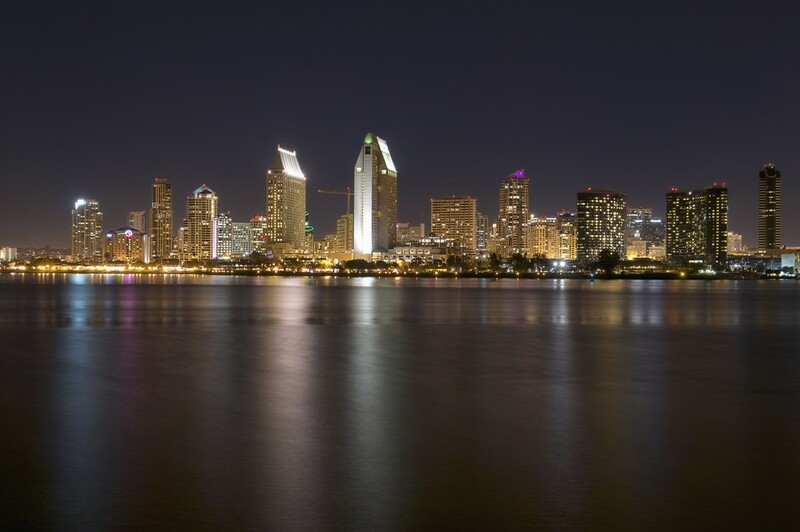 It was another beautiful night in San Diego – America’s finest city. Just got back from a very nice trip to Washington DC. I have been to Washington DC about 4 times for work but I had never had the chance to explore the capital during those visits. I was in for quite a treat as I had about 2 days to tour the city with my girlfriend Tu and her family. I must say it did not disappoint. The monuments were more grand and historic than I could have even imagined. My feet were quite sore after two days of walking. The only disappointment was the White House. It seemed so small and not at all something that the President of the US would live in. I later found out that we were looking at the back of the White House. I guess I must return to the capital at some point to get a proper view of it. My favorite pictures from the trip actually had nothing to do with Washington but some pictures that I took of Tu. I took a single picture of her against a large tree and I was very impressed with the shape of the tree, the leaves and the way the branches set out from the trunk of the tree. I did various color schemes but I ended up settling on the black and white. They say that John Muir is largely responsible for bringing attention to Yosemite Valley and eventually convincing people to turn it into a national park. Well it is a national treasure and once you visit Yosemite you think of when and how you can return to see more of the beauty that you left behind. 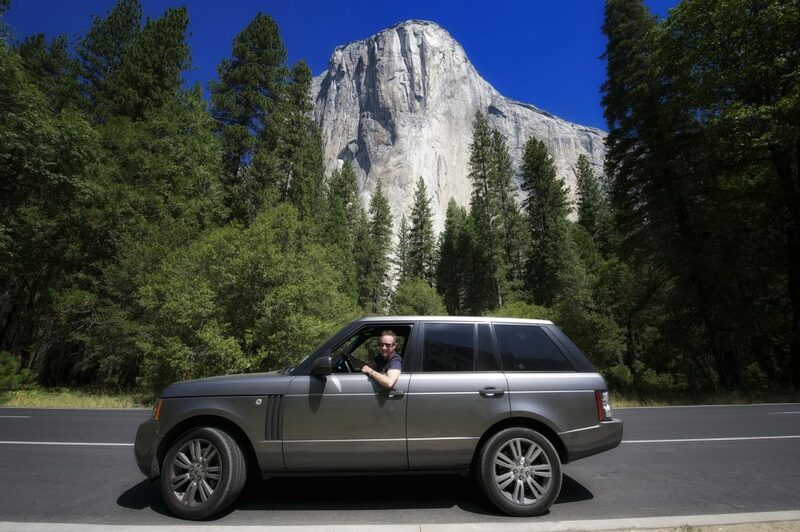 I was a little surprised a the length of the drive from San Diego to Yosemite. Yes I ended up stopping in a few places like San Luis Obisbo and San Jose for an evening but my trek up there by car took 3 days. It was well worth it. With my camera in hand I found lots of interesting things to photograph. I didn’t actually get as many amazing photos as I would have expected. Well we ended up hiking up half dome which was far scarier and far harder than I would have imagined prior to committing to the hike. I vowed when I got to flat ground never to do it again. The best places I think to photograph in Yosemite were mirror lake and the Yosemite Valley itself. Not all the best photos are at sunrise, in fact sunset is better and the case of Mirror Lake the photos get best between 8 and 10 am in the summer. The photos could get even better in the winter because they lake fills up much higher given you pristine and still mirror images of half dome and other peeks in the area.